Day 2: City tour in Lima and Hotel night in Miraflores area – Hotel night. Day 3: Bus to Ica Region, Sand Boarding and Buggies – Hotel night. Day 4: Overflight in the Nazca Lines, Free afternoon – Hotel night. Day 5: Ballestas island tour, Humbolt penguins – return and Hotel in Lima. Day 6: Flight to Cusco City – Hotel night. Day 7: Free day in Cusco City – Hotel Night. Day 8: Train to Machupicchu – Hotel night in the town. Day 9: Machupicchu tour, Train back to Cusco and Hotel night. Day 3: On the way to ICA region – Sand boarding and Huachina. In the morning, after breakfast you will be taken to the Bus station to catch a bus to Ica City (5 hours morning bus). When you arrive, Kaypi tour representative will meet you and take you to your hotel. In the afternoon you will be picked from the hotel and have the opportunity to explore the Huacachina oasis. Dune buggy and sandboarding tour. People of all ages – including kids, teenagers, and adults – all visit Huacachina and climb into a 4-wheel- drive dune buggy driven by a professional driver. Half the tour is riding in the dune buggy, up and down the dunes at fast speeds. And the other half of the tour is a chance to try the adventure sport of “sandboarding”. This is just like snowboarding, but instead of snow you will be boarding on the fine-grained sand of the desert. If you aren’t athletically talented, no problem! Just lay on your stomach on the board, and go “sand sledding”. This is faster, lots of fun, and doesn’t require any patience or ability. Day 4: Over flight in the Enigmatic Nazca Lines. Between 7.30 am and 8 am you will be picked up to the Dunes aerodrome where you will be able to experience one of the most amazing overflights. The enigmatic Nazca Lines can only being seen from the sky. In this opportunity we will be able to see 12 of the most representative lines in about 1:15 min. After enjoying the Overflight the day is your and you can explore at your leisure. On the other hand we can recommend you to take the winery and Pisco tour. Ica is considered as the best producers of Wine and Pisco (Traditional Peruvian drink) of Peru and we visit traditional and industrial winery producers. A must see experience. Day 5: Paracas – Ballestas Island – back to Lima. October 29th. After breakfast we will take our transportation from 1 hour to the Paracas Area. In this place we take our boat in direction to the ballestas island reserve area. This is a great time to experience what the Pacific Ocean can provide. On the way we will still see some geoglyphs from ancient cultures. Once we get to the Ballestas Island we will definitely enjoy the sea wildlife, we will be able to see Humbolt penguins, sea lion, buzzards, seagull and many other birds around the sea. After enjoying the adventure on the sea you will have free time to explore the area. Our bus will leave Paracas at 3:00 pm and we will be back in Lima city by 7:00pm. Once we arrive into Lima our transportation will be ready waiting for us to transfer us to the hotel. 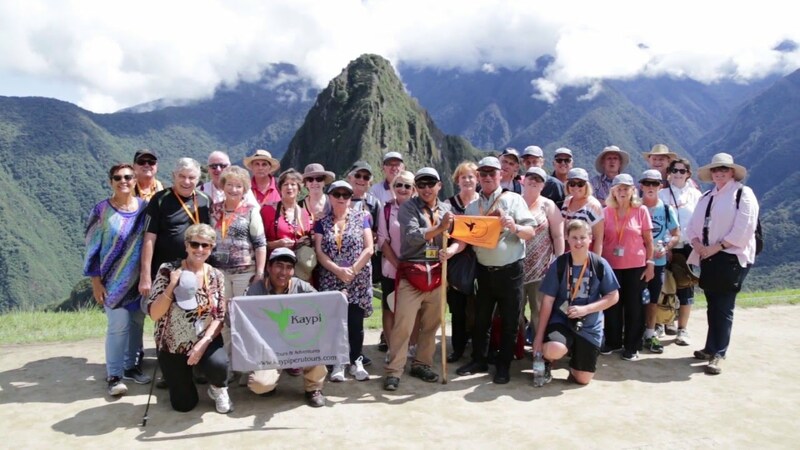 Day 6: On the way to the High Andes – Walking tour in Cusco City. Day 10: Transfer to the airport, flight to Lima and to USA. 1 overflight on the nazca lines – taxes included. Buggies + sandboarding tour- tickets included. Boat for the Paracas Island tours – tickets included.